There is a new opportunity up for startups respective industry 4.0! Supported by the Institute of Universal Design and specialist printer Vincentz Network the Altenpflege 2017 – Start-up Challenge calls out to startups with creative innovations and extraordinary ideas in the sector of geriatric care. Entrepreneurship in the field of fostering among others is one of the most important topics of this year’s challenge – and we are right in the middle of it! 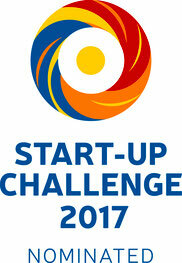 Nominated as one of the TOP 15 start-ups we’re very excited to line up for this new contest! There is going to be a Pitch, different seminars and so much more! If you’d like to have more information about this upcoming event you can surely visit the Altenpflege-Messe website!